Raising genetically good dairy animals is significant for the triumph of the dairy industry. This was emphasized by Agriculture Secretary Emmanuel Piñol in his keynote address at the recent 20th Dairy Congress and Expo (DairyConEx) at the Camiguin Convention Center in Mambajao, Camiguin. The DA official stressed that in order to achieve this, one basic strategy is for the dairy farmers to organize and consolidate their efforts so that government can easily provide the support that they need. He said the DA is ready to extend assistance and support for the establishment of a national registry program to establish the genetic lineage of all dairy animals, including carabaos, cattle, and goats. “Every breeding animal must be registered if the raisers want to sell it to the government. A genetic registry of the animals is needed to identify which line produces the best milk or the most milk,” Secretarty Piñol said. Other than the genetic registry program, he added that the DA is also ready to support the establishment of municipal multiplier farms of the best breeding materials and the establishment of learning centers in the different parts of the country. He also assured that the DA is ready to provide financial assistance for the setting-up of feed mills where dairy farmers can formulate their own feeds for their animals. 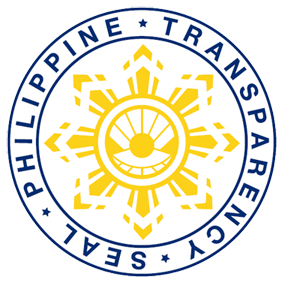 The secretary vowed that his department, including its attached agencies involved in the dairy industry like the Philippine Carabao Center (PCC) and the National Dairy Authority NDA, will never be involved in corruption. He said that there is a perception that one of the primary reasons for the huge losses in the farmers’ income and the country’s dependence on imported milk products are due to corruption. He said his department is doing something big to erase that perception. “In the months coming I will be meeting all the heads of offices of the DA to review the money allotted to their offices and how fast they are able to spend it. I will give them until the end of June to show to me that the money given to them by the government is spent at least to a level of 90%,” he said. “I will fire them if they are remiss in reaching that level,” he warned. Piñol reasoned out that if they (the head of offices) cannot spend the money allocated by the government, it can only mean one thing – that they are not doing their jobs of delivering services to the people. “The (government) money intended for a program is money intended for the Filipino people. The moment the money is stuck up there, that means that (the head of offices) did not deliver; that they did not do their job; and that they are undeserving to be in the government,” Piñol emphasized. Right after, the DA chief invited the key stakeholders in the dairy industry to a consultative forum to formulate a 10-year Philippine Dairy Industry Development Road Map. PCC, on the other hand, renewed its commitment to improve the genetic potentials of the Philippine carabao for milk and meat for the improvement of the economic and social well-being of smallholder farm families. Dr. Arnel Del Barrio, PCC executive director, presented during the event the agency’s program on “Enhancing Milk Production of Dairy Buffaloes through S&T Interventions”. The program, he said, is funded by the Philippine Council for Agriculture, Aquatic and Natural Resources Research and Development (PCAARRD). Other topics presented by PCC officials during the gathering were the “Role of Assisted Reproductive Technologies in the Development of the Dairy Industry: Current Programs and Initiatives” by Dr. Eufrocina Atabay, PCC Scientist I and Reproductive Biotechnology and Physiology Unit Head; “Application of Embryo Transfer Technology in Dairy Herd Build-Up” by Dr. Edwin Atabay, PCC Scientist I; “Profitability of Buffalo Dairy Farming and Its Correlates” by Zadieshar Sanchez, PCC Administrative Officer V; and “Product Development Related to Buffalo Milk Product” by Mina Abella, Carabao Enterprise Development Section Head. The DairyConEx, with the theme “Gatas Pinoy: Paunlarin, Tangkilikin, Palaganapin!, was attended by dairy farmers, cooperative members, private sector and industry entrepreneurs, and government employees in the livestock sector. Some 30 exhibitors participated in the three-day conference to showcase their respective technologies and products. Organized and held annually by the Dairy Confederation of the Philippines (DairyCon), the congress is aimed at encouraging people to go into dairying to create wealth, livelihood and share the benefits of economic development nationwide. The ultimate goal is to create a permanent sector for dairy with globally competitive professional dairymen and farm workers. Co-organizer of the event is the Department of Agriculture through the National Dairy Authority (NDA) with the PCC as co-sponsor.